It is possible that most people have read lots of information on why they must not use credit cards. This is because it is not uncommon for cardholders to misuse these products and fall into debt traps. However, using credit cards in a responsible manner has several benefits. Most card issuing companies offer signup bonus offers to the cardholders. These include annual fee waiver, lower interest rate, and higher reward points for a certain period of time. Users may be able to receive between 1% and 5% of their card spends through cashback offers available from the credit card providers. Some cards provide higher cashback to the users when they use this cash to deposit in an investment account. Cardholders may earn one mile for every rupee spent on airline ticket bookings. The accumulated points may be redeemed to purchase tickets in the future. Some of the frequent flyer programs offer huge signup bonus to make it advantageous for users. Several credit cards offer reward points to the users for every purchase made using these products. These points are redeemable against various offers, such as buying certain items, air miles, travel deals, gift cards, and much more. In case a stolen or lost debit card is misused, the money is immediately debited from the user’s account. As a result, there may be insufficient funds to make legitimate payments, which causes delays and thereby reflects negatively on the overall credit score. On the other hand, if a person loses his credit card, he simply needs to notify the issuing company. Even if any fraudulent transaction is executed, no money is debited. Furthermore, the users do not have to pay for these transactions while the card company resolves the issue. 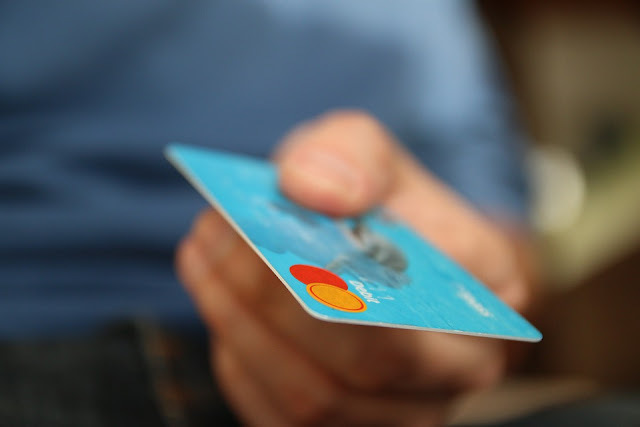 Purchases made using credit cards do not require immediate payment. The cardholders enjoy a credit period and the money is payable only in the next billing cycle. This allows individuals to make expensive purchases without making upfront cash payments. Some credit cards are available with several consumer protection offers. These may include product warranties that exceed the warranty offered by the manufacturers, travel insurance, and much more. Most hotels and rental companies prefer payments through credit cards. Furthermore, while traveling in foreign countries, debit cards may not be acceptable. However, most credit cards are accepted by merchants across the world. This makes it convenient for users to make payments even while traveling. For an individual who does not have any credit history or wants to improve it, using a credit card responsibly is beneficial. When an individual makes timely payments on the card, it is positively reflected on his credit score. This may further benefit the user in the future when he applies for other types of loans, such as home or auto finance. If an individual is going to be unable to make timely payments on his credit card, he must avoid swiping it frequently. Furthermore, if users overspend and exceed the available card limit, using a credit card is not advisable. Such situations may result in increasing the interest costs for the users. In certain instances, they may even find themselves in a huge debt trap. Nonetheless, if a person is responsible and knows how to use these products wisely, he must compare credit cards to select the one that meets his financial needs.